Another post about an inventive design by Shingo Sato, but this one is not as long as the previous one. Trompe L’oeil which is French for Cheating the Eye (aka optical illusion). I was very interested to see how such a design was made so after watching his video on you tube, I made the top a few weeks ago. 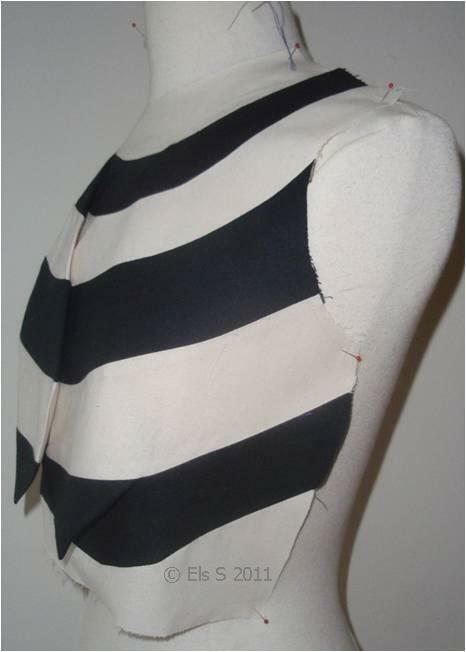 I used cotton in unbleached and black to make this toile. 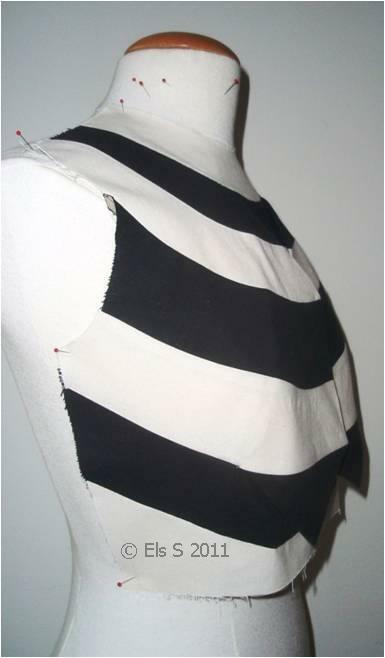 Imagine such a design in black and cream colored satin. 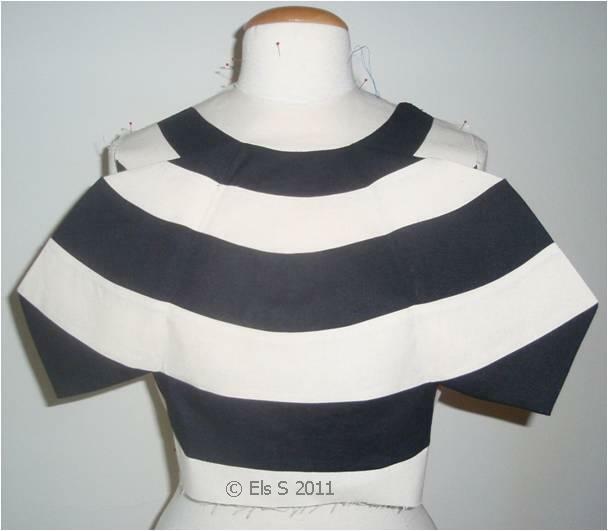 At the end of last year 2010 I was invited to make a garment as part of the Dutch tailors catwalk show for the International Master Tailor Conference which would take place in Rome Italy in August 2011. So now I found the opportunity to make such a dress. My model who would show the dress in Rome, lives in Amsterdam while I live 200 km away so I was happy with my dress-form, although my model has a more nicely curved body. 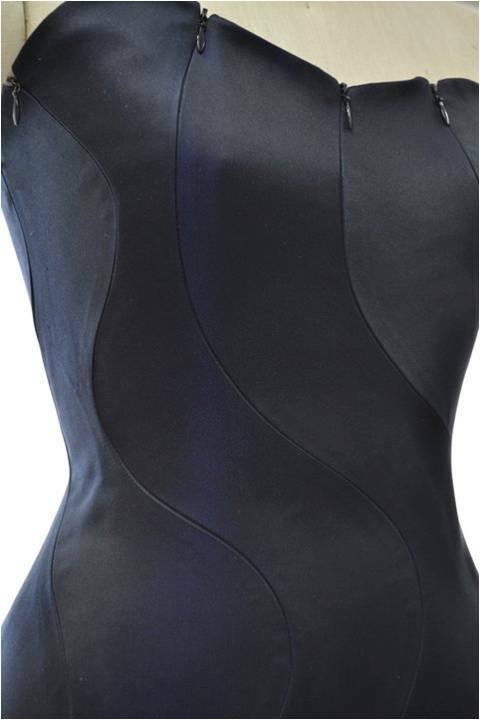 I found the right fabric for the dress (“Balestra” which is a high-end quality 100% polyester satin back crepe fabric and both sides can be used since it has a matt and a shiny side. 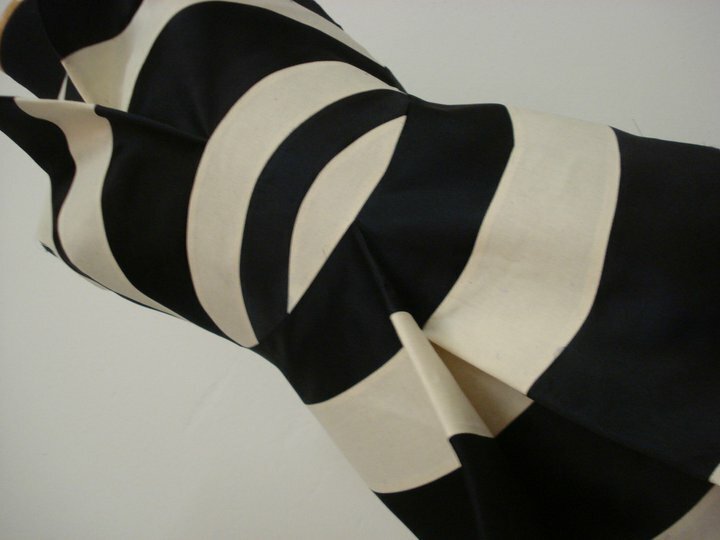 This fabric is often used for evening and bridal wear. And I bought a cheap satin back crepe in purple for my test dress. 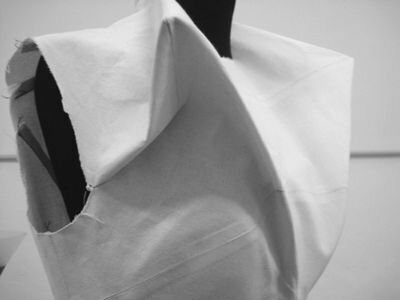 I drafted a basic dress and my adventure started. 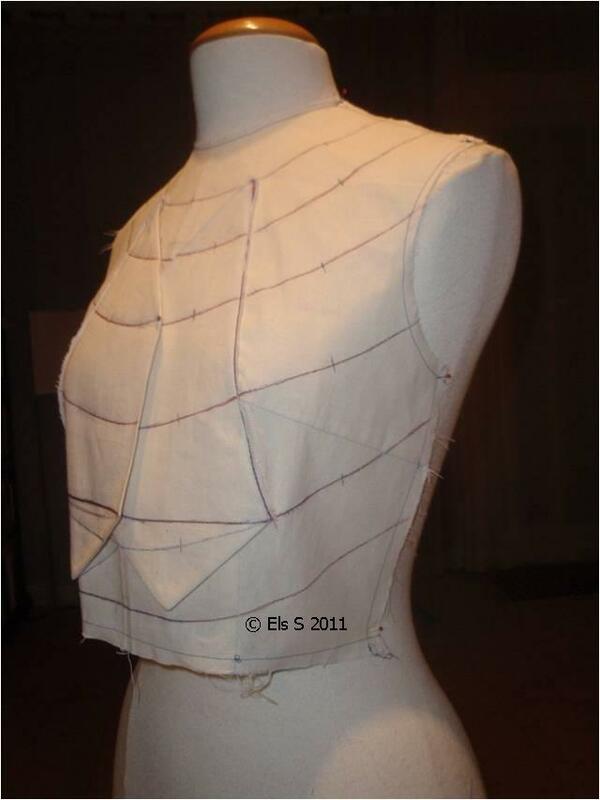 After fitting the basic dress I could start with the design. 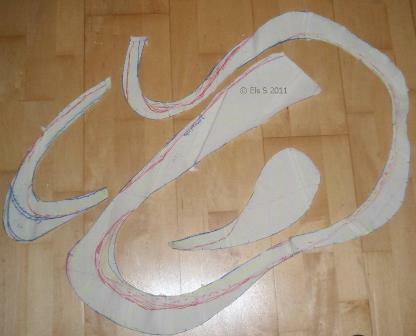 But since I am not used to draw (permanent) lines onto a 3D form, I started with pinning wool yarn threads instead. The advantages of using wool yarn threads above the permanent pen lines are obvious. The wool yarn threads could be rearranged easy without having multiple lines on my basic dress that could make it difficult to see the final result. When I was satisfied with the design lines on the dress-form, and it really helps if you stand away and take another look. (The perspective is different from viewing in front of it like an arm length away). (I also used “Paint” to highlight the shiny parts on the pictures on the computer) and I traced the wool yarn lines with a pen. 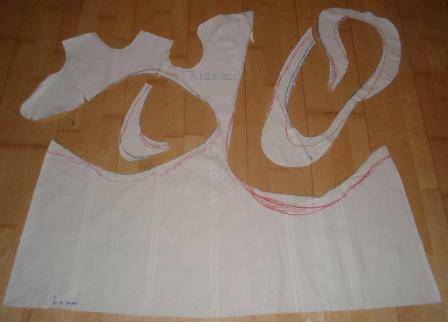 Putting the dress on my ironing board I was able to smooth out the design lines with a curved ruler and marked the reference points. After cutting out the pattern I placed the pattern pieces on the purple fabric matt side and some parts on the shiny side. 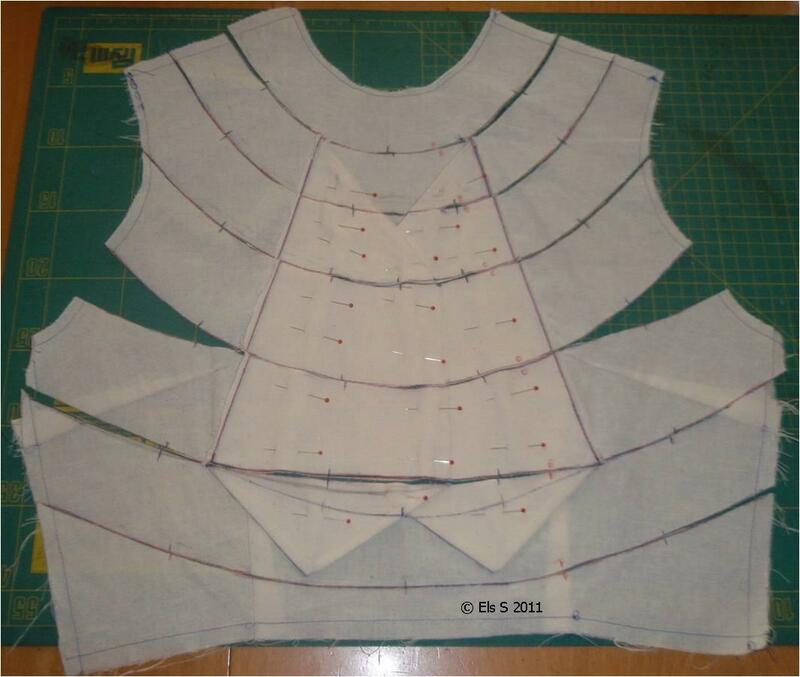 Since this one would be my test dress, I could use a tracing wheel and tracing paper to mark the seam lines and reference points. 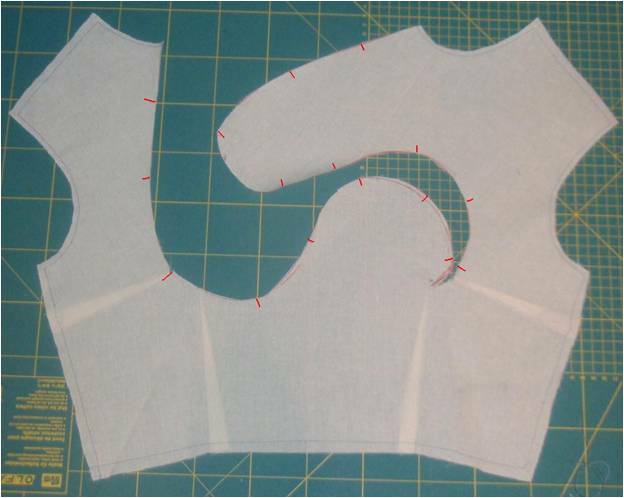 I used 1 cm seam allowances. 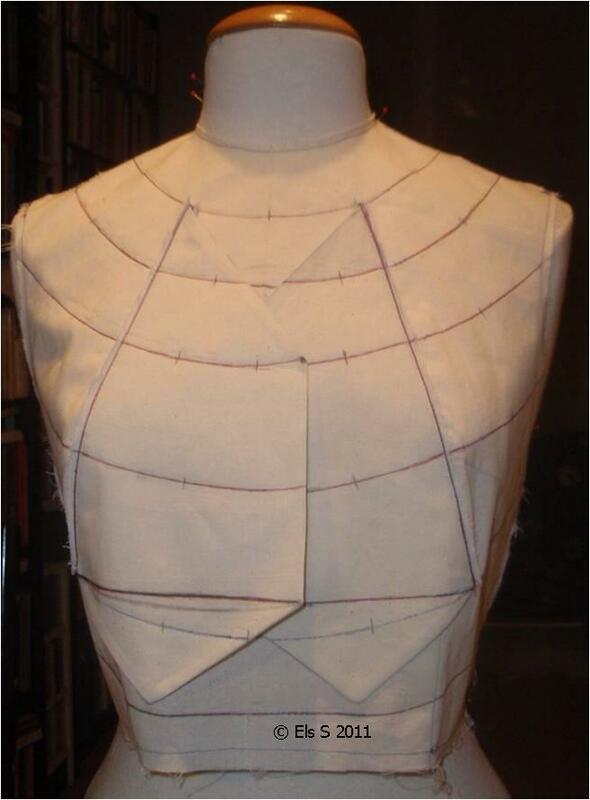 The new dress design has design lines which are not corresponding at the end points of the darts so learning how to deal with that the video easing and forming was helpful. 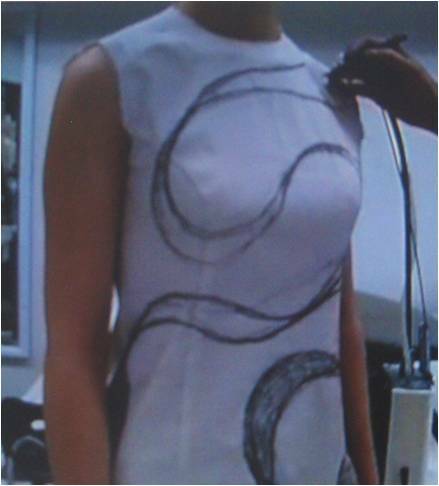 During the next fitting I was not really pleased with the design lines; moreover, the dress was too tight, probably caused by the shape of the pattern parts (some are cut at the bias due to their shapes). 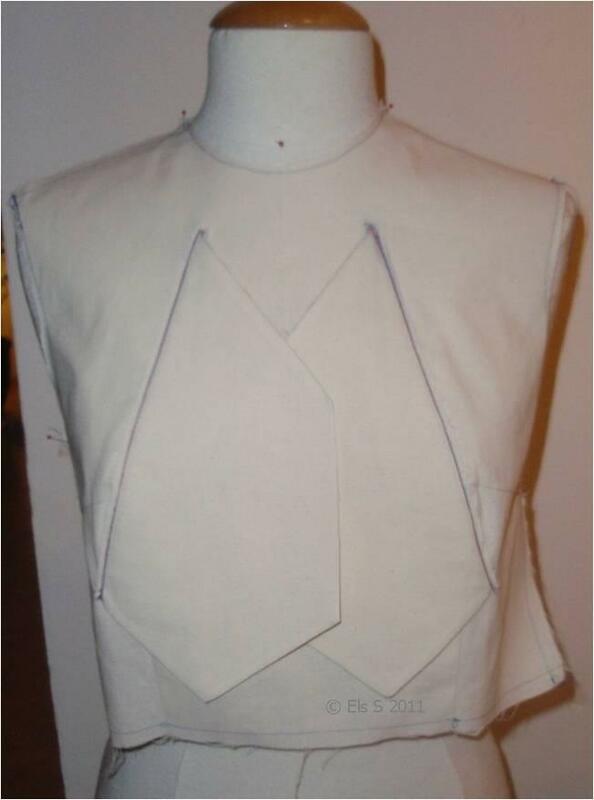 So I marked some new design line points and started with a new drafted dress pattern but now with more wearing ease that would vanish into the design. The second test dress was better in the fitting but needed some rearranging of the design lines which I could do at home using my dress -form. 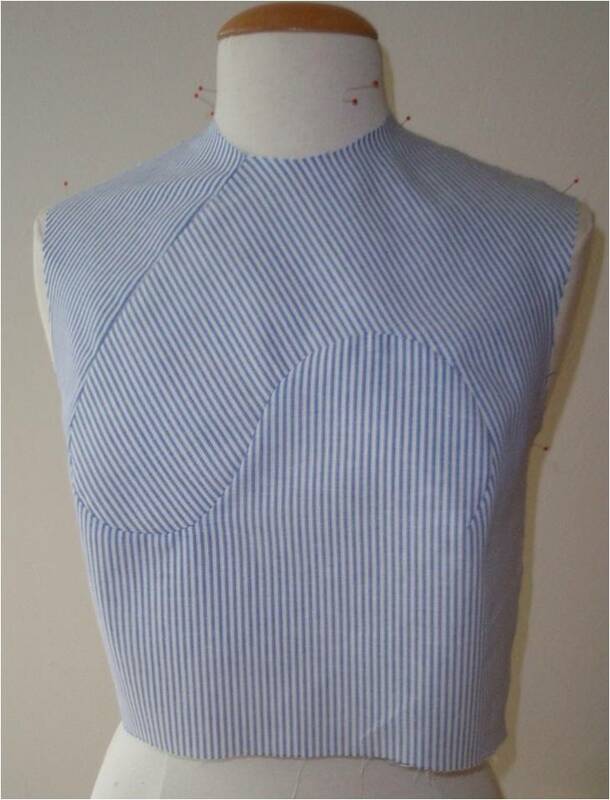 The blue lines are the permanent lines which I used for the final dress in blue. 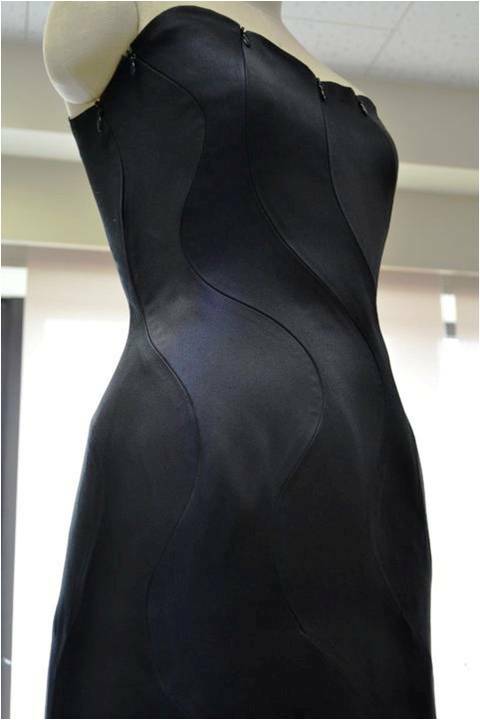 Unfortunately when my model was trying the dress for the last time, some wrinkles appeared due to the bias cut pattern parts. Obviously the purple fabric was a bit heavier than the blue fabric which I should have known but did not recognize in time. 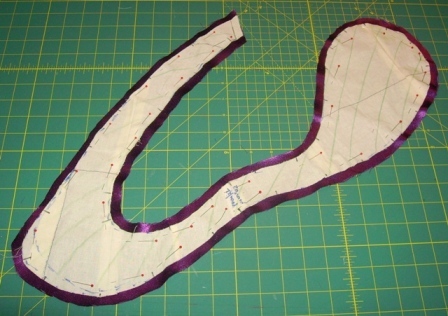 Otherwise I should have fused all the pattern parts with a thin fusible interfacing to prevent the wrinkles due to all the curved lines. But it was too late to make a new dress since the dress was going to Rome in 3 days. Well lesson learned for the next time. It was an experiment and a lot of work but I liked the new take on designing the dress on 3D and I enjoyed making this dress a lot. 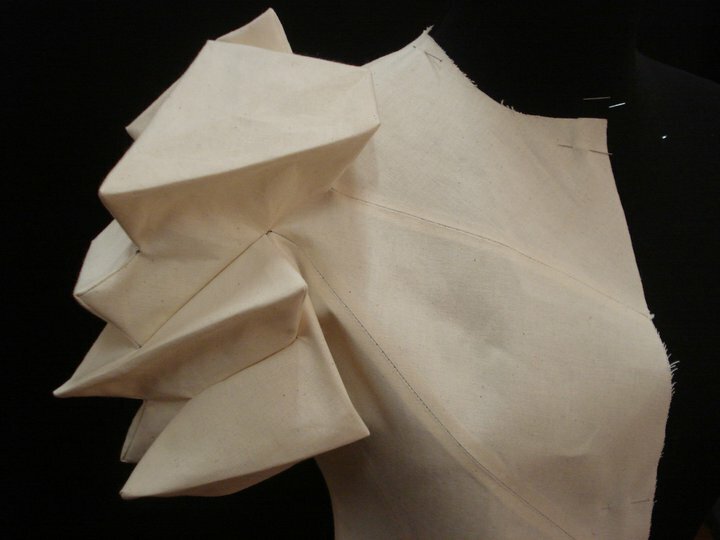 So thank you Shingo Sato for being an inspiration in my process to make a dress using this TR designing technique. The picture of my model on the catwalk at Piazza Campidoglio in Rome Italy August 9 2011. 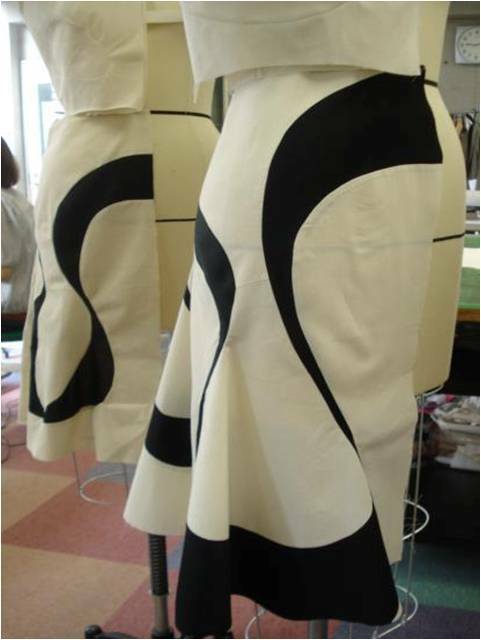 A year ago I discovered on the Internet Shingo Sato a Japanese designer and instructor, and was immediately fascinated by his approach in designing a pattern, which he calls “Transformational Reconstruction“. 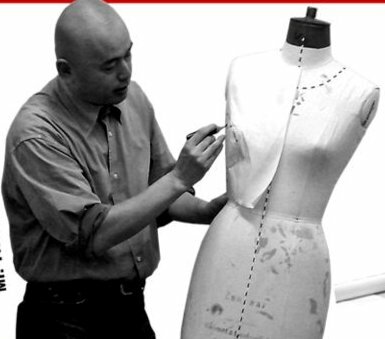 His approach to design is not new, since we patternmakers know how to transfer darts , add style lines etc but it has limits because drawing a pattern design on paper has less creative possibilities. 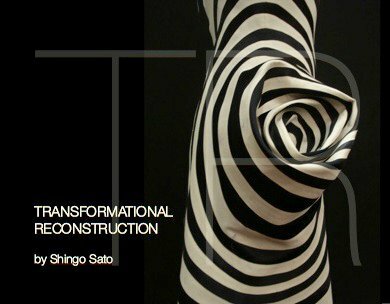 Shingo Sato’s design process “Transformational Reconstruction” which is done in 3D gives so much more possibilities to be creative. 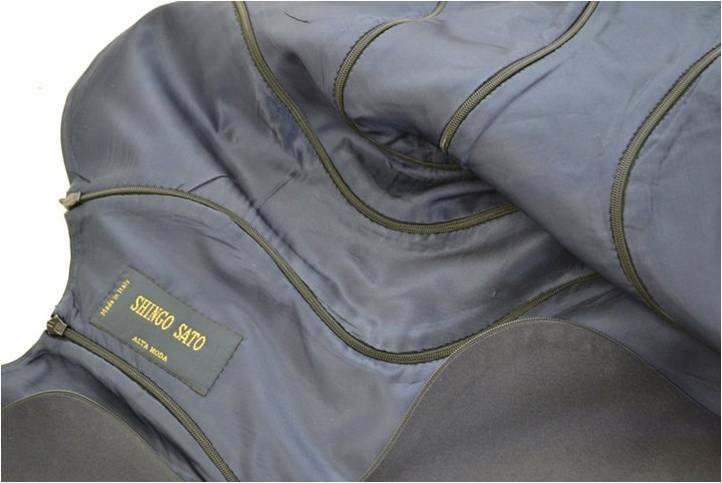 Shingo Sato shares his designing process by giving workshops in various parts of the world like in the USA, UK, Colombia, Japan, Italy. 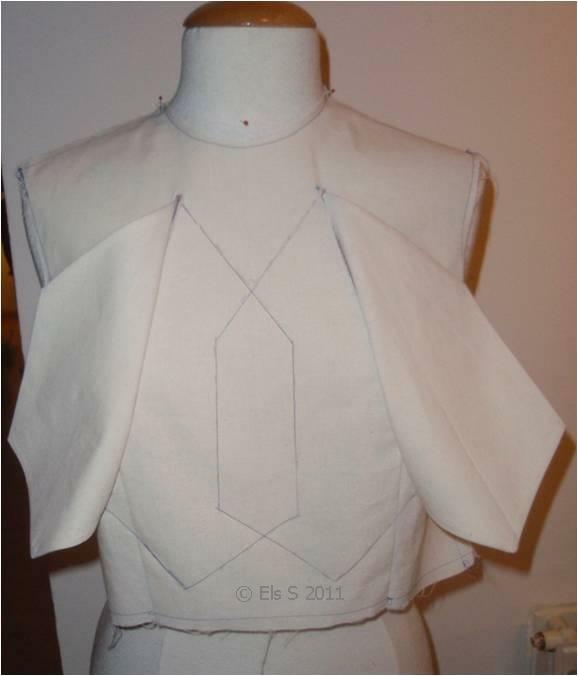 It all start with a good basic pattern which you can accomplish by moulage/draping or drafting by hand on the flat ( paper pattern. 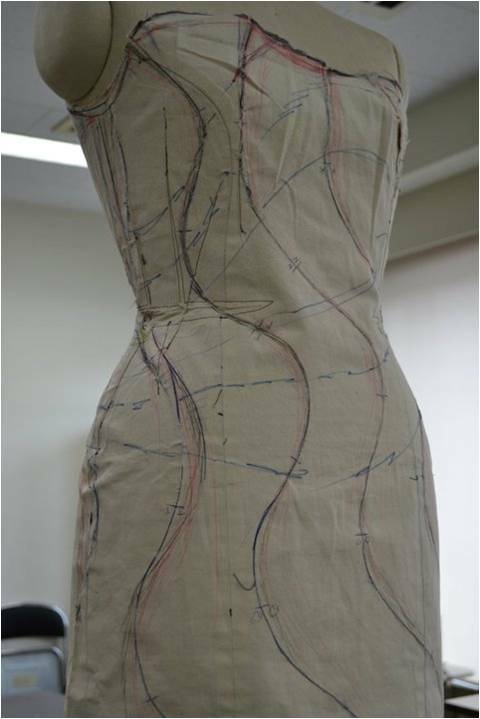 The basic pattern which is sewn from unbleached cotton will become a new pattern after the design lines are added on a dressform. 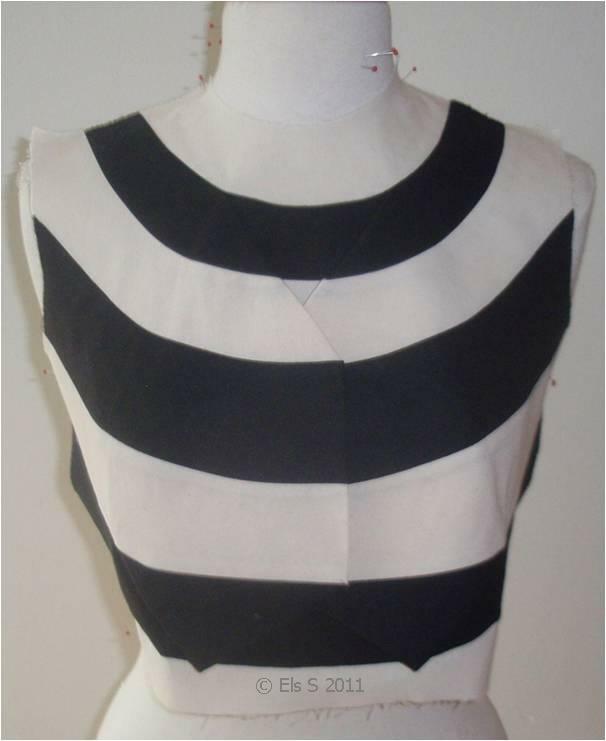 Example of a dress design which is in my view and amazing design with all those beautiful wavy lines the dress has 8 invisible zippers which are not that difficult to sew but impeccable sewn in wavy lines is a master piece. I ordered his book Book “Transformational Reconstruction” published and sold by Centre for Pattern Design shows 12 chapters and 2 accompanied dvd’s. The book can also ordered from his website but you need to understand Japanese language. 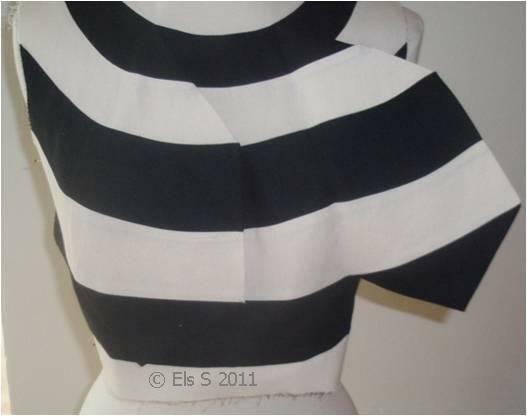 I also made a dress and a top inspired by his TR design process and will post about that within a few days. 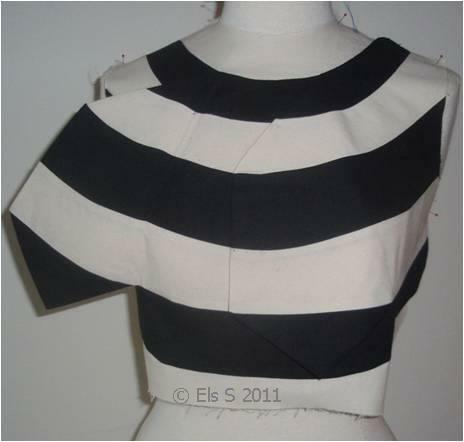 Enjoy watching the YouTube video’s and learning this way of pattern designing. 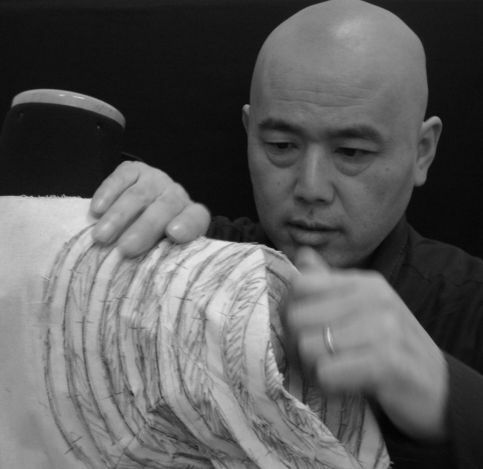 Shingo Sato is also on Facebook and he will start a TR Cutting school in Milan Italy next week where you can attend workshops, see link for more information. 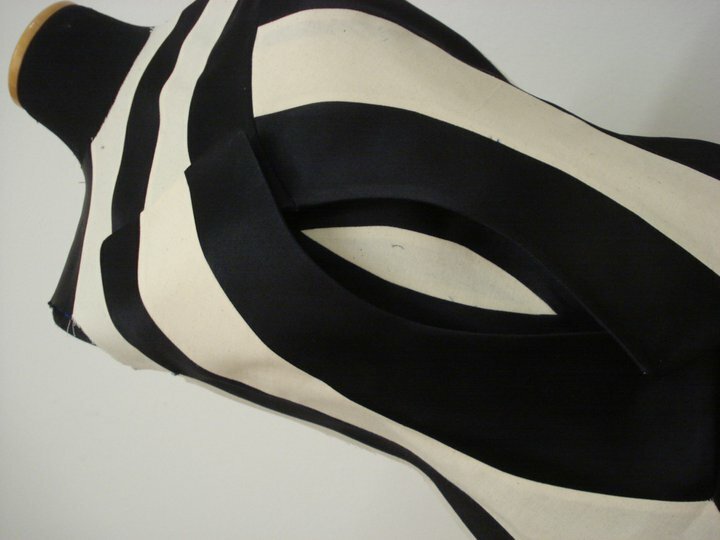 Thanks to Shingo Sato for your amazing work which helps to be more creative in pattern designing.